Here's where we are at -- in the more than 100 million dollar governors race -- incumbent Bruce Rauner's campaign is driving a van around the city today with a fake sign that reads: Pritzker Plumbing . Rauner is doubling down after a new campaign ad dramatizes how democrat J.B. Pritzker removed the toilets from his Gold Coast mansion to get a property tax break. Billionaire Pritzker responded with his own ad -- pointing out billionaire Rauner's own property tax break. "Owns nine homes, attacking someone else, when he took a tax break 22 times,” the ad says. 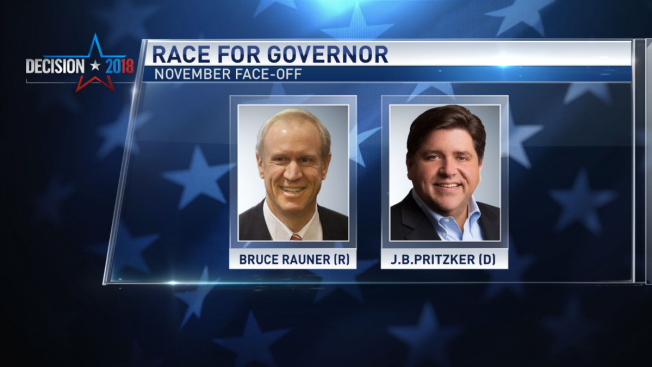 The Rauner campaign says the governor never personally applied for a tax break, but his condo association did. The Pritzker campaign says a tax break is a tax break. Then there's this campaign squabble -- does Pritzker pay his interns? Earlier this week his website advertised internships as unpaid -- that's why one downstate college student from Eastern Illinois University had to walk away from applying for the position. "This means people who are getting these internships are coming from families with means," the student said. "There should be people who are working class and middle class that should still be able to get this experience." After a brand new organization, called the Campaign Workers Guild, representing campaign staffers, started asking questions, about how the well funded Pritzker campaign would advertise unpaid internships the Pritzker website was changed to say the internships are paid. The Rauner campaign says it pays its interns based on an incentive based system -- they are paid for the number of hours they work, or the projects they perform, it’s possible with that incentive based structure interns can earn up to $1,000 a month.